The F.O.R. 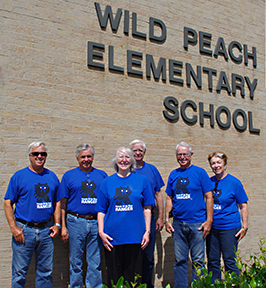 Ranger Committee presented a San Bernard Watershed program to two fifth grade classes at Wild Peach Elementary on Friday, April 13. The program explores the San Bernard from its head water to its mouth. Classroom materials including booklets about the watershed, fish identification and nautical knot tying were distributed. The goal of the program is to help the students gain a better understanding of the San Bernard and to inspire them toward environmental stewardship of the river. 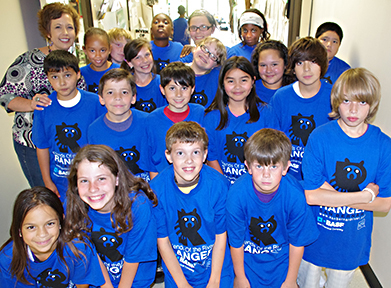 Ranger t-shirts were also given to each students and two lucky students received a new rod and reel. 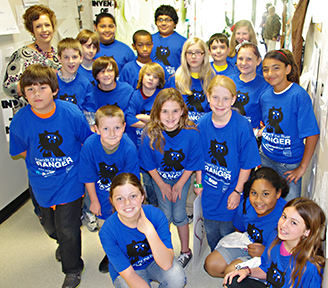 Pictured below are Mrs. Kim White's fifth grade science classes. See more photos.